Renee Warmack made her presence known in the local arts scene through her 2007 documentary Ten at the Top in Tampa Bay, chronicling the area’s top female government leaders and sharing how they broke the glass ceiling. Now, through art shows she curates, Warmack is helping local female artists break through. The show will spotlight 13 women working in a variety of genres. Titled, The Art of Women: A Celebration of Diversity is scheduled for 8 p.m. to 11 p.m. Friday (Oct. 5) at Centro Asturiano in Ybor City. Film Tampa Bay Local Spotlight Continues: Production Services & Systems Inc. "We Light the Sunshine State"
Production Services & Systems, Inc. (conveniently located near Tampa International Airport, Legends Field, and Raymond James Stadium) is a full-service rental house capable of supplying sports or television events, industrial, commercial or feature productions. Since PSS is centrally located in Florida it provides an ideal rental situation for productions throughout Florida and the Southern Region. On Oct 5th the Tampa International Gay and Lesbian Film Festival will open to its 29th year. One of the oldest film festivals in Florida, as well as one of the oldest LGBTQ+ festivals in the United States, it promises to be a wonderful festival with a stellar lineup. By attending TIGLFF you are doing more than supporting a great community festival, you are helping to engender a cinephile culture that is vital to increasing support for film and digital media at both the local and state level. A film can often be reduced to a widget, a soulless commodity to be sold, hopefully for a profit. But that view discounts the creativity and passion of all those putting in the long hours on a film set. It's more than just a widget to them, it’s a culmination of their talents, it’s a work of art. Film festivals help foster that understanding. It exposes audiences to more than just the latest popcorn blockbuster. Art should open a dialogue with its audience, so should a film. Certainly, support TIGLFF but don't stop there. Tampa Bay is home to several notable film events throughout the year. Gasparilla Film Festival, Second Screen Cinema, and Sunscreen Film Festival come to mind. The more you support the arts, the richer your own lives and community will become. And hopefully, through that appreciation, you will think about those who work on the films you are watching. Seeing their films helps support their professions. Art and culture are an ecosystem. It needs to be nurtured and supported in order to thrive. Film matters. The Tampa Bay International Gay & Lesbian Film Festival (TIGLFF) launched in 1990, making it Tampa's oldest film festival. It was founded as a 3-day extension of Tampa's gay pride celebrations by representatives of three LGBTQ+ organizations: The Tampa Bay Business Guild (TBBG), the Bay Area Human Rights Coalition, and the Tampa Bay Gay Men's Chorus. TIGLFF is now a 9-day juried LGBTQ+ community film festival, one of the largest and longest running of its kind in the world. Opening Night is traditionally the first Thursday of October and includes 30-40 film screening events, plus several cornerstone parties used to help raise operating funds for the film programming. Since 1990, TIGLFF has been held at the historic Tampa Theatre, along with tables, tents, vendors and music out front of the theater, giving the festival goers a place to gather and celebrate films, community and the refreshing October weather. 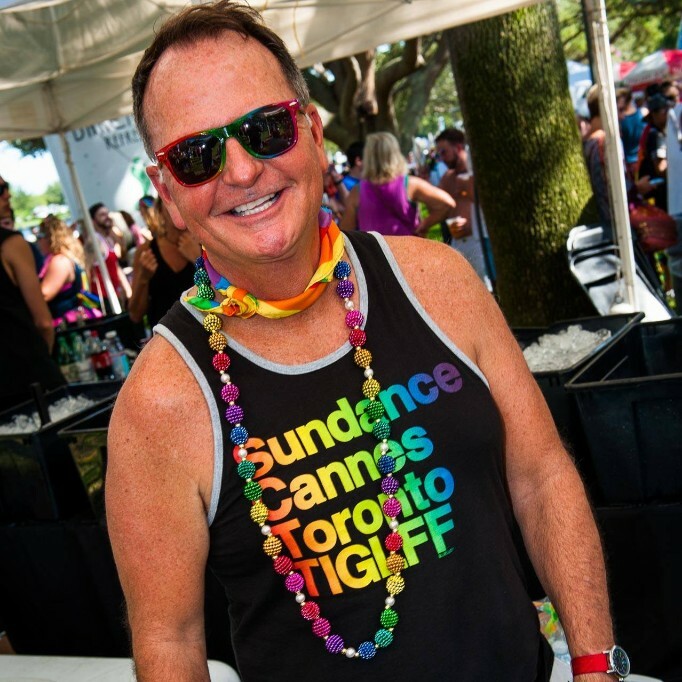 When: Oct 5 - Oct 13; visit tiglff.com for varying times and events. For more information and to purchase tickets in advance, visit www.womeninfilmfl.org under "events" or bring $10 cash to the door. Event will include snacks plus special giveaways!